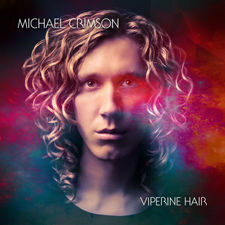 Songwriter, guitarist and singer Michael Crimson makes mind-bending music that flows beyond the boundaries of progressive rock, pop, glam, folk, the Blues and classic rock into fresh dimensions. The artist’s groundbreaking songs feature otherworldly guitar melodies that ring out above a multitude of instrumental harmonies and rolling rhythms that explode together into an expansive universe of sound. Through his vivid and versatile voice, Crimson conveys the eloquent emotions sparked by his brightest and most personal memories. Each of his sophisticated songs is a story brought to life by powerhouse guitar passages that show his dexterous playing and belief in the boundless possibilities of the instrument. He invites audiences inside his emotion-charged imagination through energetic and intimate live performances and envelops them in the rich sonic layers of his lush, carefully-crafted recordings. 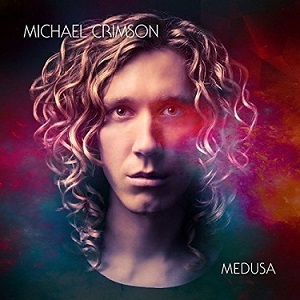 His debut solo album, Medusa is a collection that honors the tradition of legendary lyrics-and-guitar-driven rock music by legends like Pink Floyd, The Doors and Led Zeppelin. Produced in collaboration with Ola Sonmark, the album travels through Crimson’s own journey through love, faith, self-discovery, loss, death and beyond, intertwined with universal themes, compelling characters and captivating tales from Greek mythology. Music mesmerized Crimson as a young child growing up in Eskilstuna, Sweden. A quiet soul, he sang often, experimented on the piano in his home and reveled in rock and pop music. At age eight, he was unable to resist the magical pull of electric guitar and signed up to take lessons so he could discover every inch of the instrument. He started writing his own lyrics and music before he was even a teenager and soon after fell under the spell of ‘60s and ‘70s rock n’ roll, marked by guitar masters including David Gilmour and Jimmy Page and pioneering rock poets, philosophers, vocalists and performers such as Robert Plant, Bob Dylan, Leonard Cohen, Iggy Pop and David Bowie, all who solidified his resolve to become a professional musician. Crimson got a crash course in the showy world of pop and rock by playing in a variety of local Swedish bands and studied music, electric guitar and vocals while diving into the finer points of literature and composition in order to evolve as a lyricist and songwriter. As he gained confidence in his artistic message and identity, he began an abundant creative partnership with producer and engineer Ola Sonmark and honed his own production skills. A multi-instrumentalist skilled at not only guitar and voice but also piano, Crimson uses his unending curiosity to shape his songwriting, embracing the role sounds and textures play in establishing memorable, resonant moments full of feeling. Crimson is currently finishing work on his debut and planning a series of live shows in Sweden to celebrate the release. Medusa will be released via Gain Music Entertainment/Sony Music in Winter 2017.